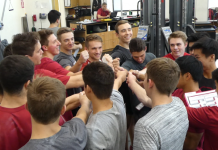 Midknight Robin, interviews Randy Jepson, three-time National Coach of the Year, about the Penn State men’s gymnastics team and expectations for upcoming season. Under the direction of Randy Jepson, the 2000, 2004, and 2007 National Coach of the Year, the Penn State men’s gymnastics program has carried on the proud tradition of excellence and achievement established by its forbearers. 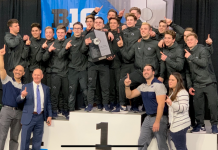 After guiding his teams to three national championships and three Big Ten titles, Jepson serves as a symbol of Penn State’s vaunted heritage and enters his 27th season as head coach of the Nittany Lions in 2018.